July | 2015 | WE BIKE, etc. Promoting active living for happier, healthier communities! Today we are heading home after 9 days of travel and approximately 600 miles total. After a good breakfast at Mark and Shelia’s house we hopped on the bike to head home. The morning was unseasonable cool – 54 degrees brrr!! We put on our coats and wished for a hill to warm us up. Our first stop was Lakeside Park and Lighthouse in Fond du Lac. 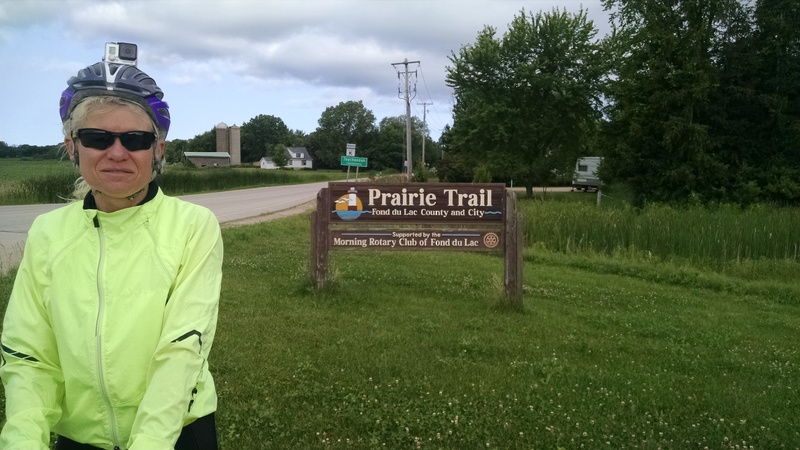 We then got on the Hwy 151 path (Prairie Trail) which is a great 10 foot wide pathway adjacent to Hwy 151 – it is a great facility to allow you to head north on the east side of Lake Winnebago by foot or bicycle. We followed the trail until it headed east – we then jumped on Hwy 151 for about ten miles and then to Lakeshore Drive a beautiful road that provides great views of Lake Winnebago. After traveling thru Sherwood, Harrison, Wrightstown and Greenleaf we got on the Fox River Trail. Our last 13 miles were on the trail to the City of De Pere then over the bridge and home. Our bicycle trip was a great adventure and we especially enjoyed touring the various historical and natural areas along the route. The Fox Wisconsin Heritage Parkway Partners were very gracious hosts and spent a lot of time with us. 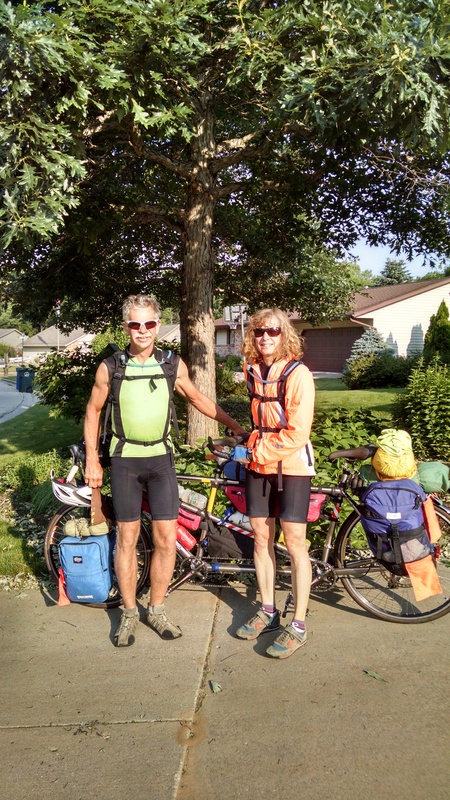 We got home in time to host a tandem couple from Wyoming – Mike and Paula who are bicycling across the country pretty much the same route we took. We went out to dinner and then gave them a tour of the Green Bay area. After a good nights sleep we rode with them to the Fox River Trail to help them get on their way to Manitowoc to take the ferry across Lake Michigan. It was great to talk with them and hear their stories about their travels – it sounds like they are having a great adventure. Watch for our next bicycle adventure starting in September – we will be riding along the Mississippi River corridor. 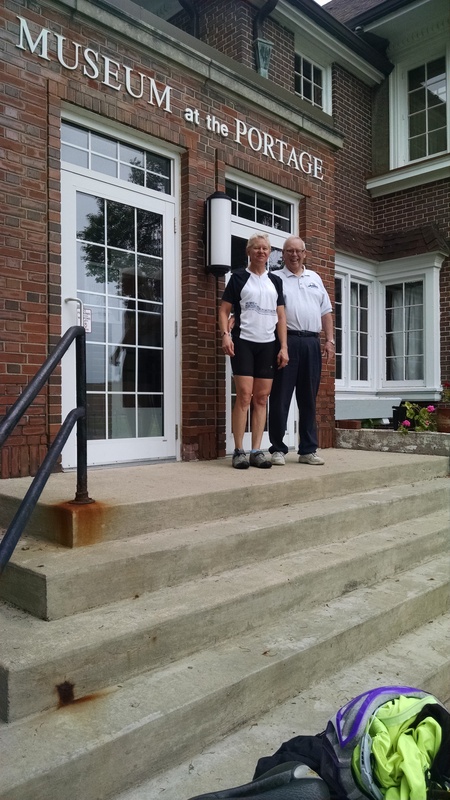 We stayed over night at the Best Western Hotel in Portage – they were very nice and stored our bicycle in their meeting room so we did not have to haul it up to the third floor!! The next morning one of the employees saw the bicycle and was very intrigued by it and wanted to know the whole story about our trip. She was amazed by our trip and even more so about our cross country trip the summer before. Very nice lady. After a good breakfast we headed over to the Museum at the Portage, where Ted Rebolz gave us a personal tour. 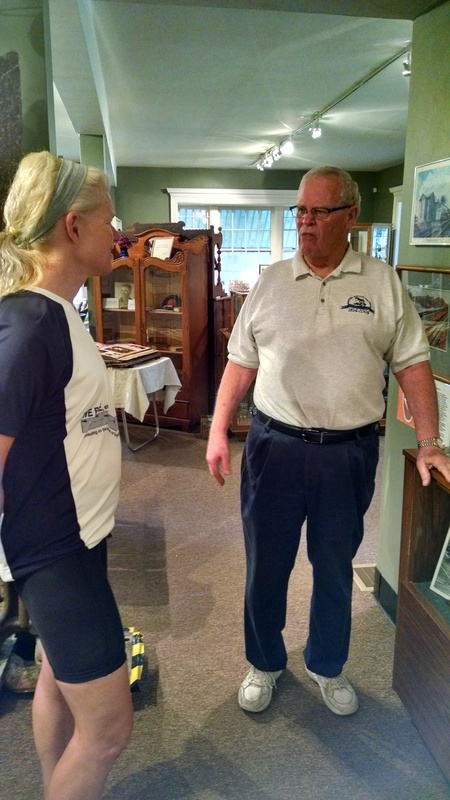 Ted is very knowledgeable about Portage history and the displays in the museum. The museum is located in the William and Zona Gale Breese Home at 804 McFarland. The home was donated to the city of Portage in 1942 to house the Public Library. In 1994 the library moved to a new building and the Portage Historical Society was formed and the Museum at the Portage was formed. Zona Gale is a famous author and wrote many books, short stories, poetry, plays etc. beginning in 1906. The study where she did most of her writing is preserved and available for viewing. 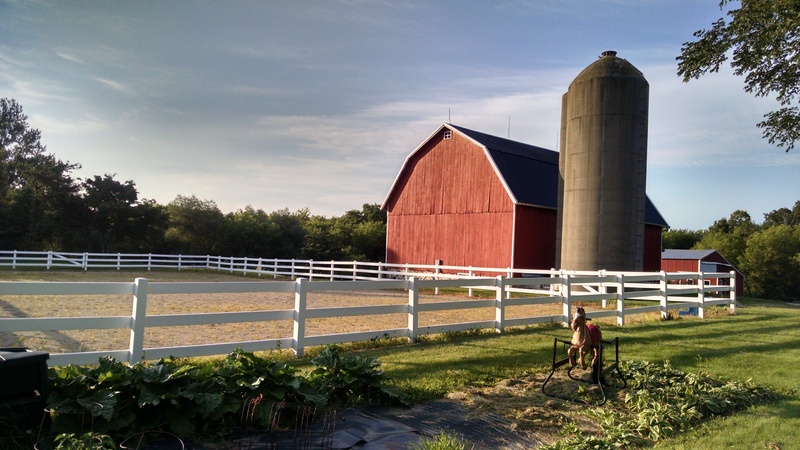 The home is on the National Register of Historic Places and worth a trip on its own. The museum houses displays on everything from the Portage Canal to curling. Admission is free and well worth the trip. After our private tour we headed on our way for a nice relaxing ride to Fond du Lac. 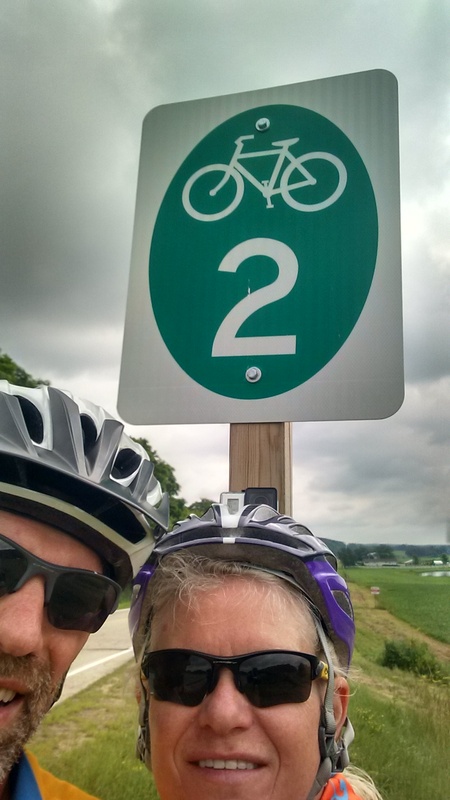 We followed the Columbia County Bicycle Loop Route on part of the ride – they did a nice job of setting up the bicycle loops they are beautiful, low traffic routes. The ride was uneventful and we got to Peter’s brothers house about 4:00pm. A warm shower, home cooked chicken dinner, good conversation and visit made for a nice evening.